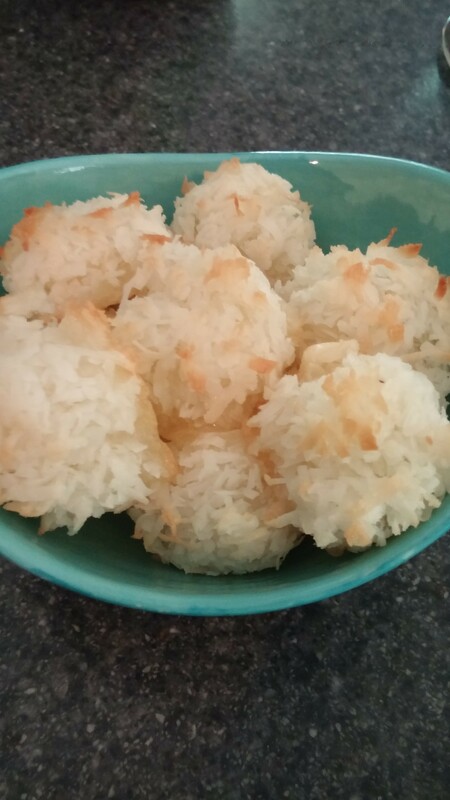 I have made many coconut macaroons in my baking life! Some are hit or miss! Some are extremely unhealthy as well. 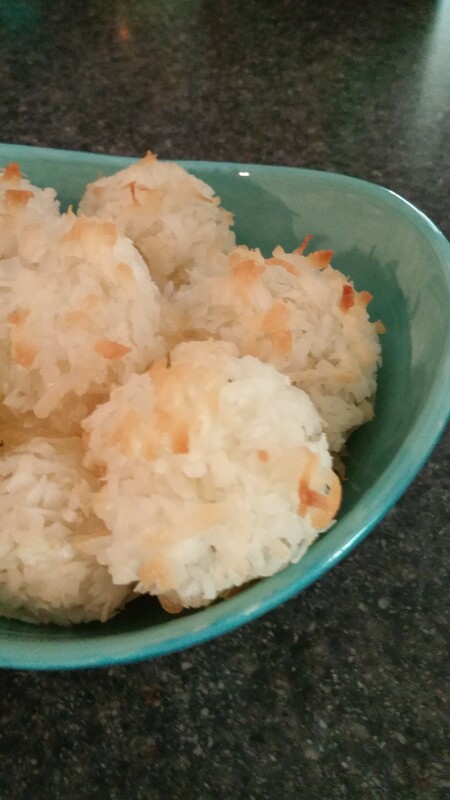 Today I am sharing the coconut macaroons I have been baking for a few years now. They are beyond delicious and they turn out each and every time! 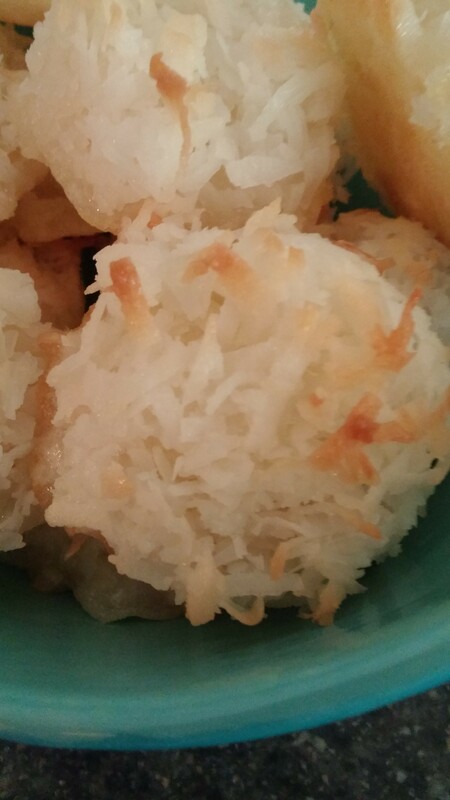 I found the recipe online http://sallysbakingaddiction.com/2013/12/16/coconut-macaroons/ . If the link doesn’t work just copy and paste it. I love this recipe! It only has a few ingredients and are very easy to make. See the recipe below but stop by Sally’s Baking Addiction for some other great recipes too! The beautiful blue bowl I served this batch of macaroons in was my Mother’s Day gift made by my daughter! I LOVE this bowl, so pretty! Beat the egg whites by hand until foamy, gives your arms a workout! Add in the sugar and vanilla to combine. Then fold in the coconut. I use my medium scoop and drop onto a parchment lined baking sheet. Bake at 325 degrees for 20 minutes or until golden brown. Do Not overbake or they will be dry. Let cool on a baking rack, so so good! !